When it comes to achieving your goals and living a successful life, not only that you have to study successful people so you can learn and model them, at the same time, you have to study unsuccessful people so that you will not make the same mistakes and avoid being like them. Success gives you confidence and boosts your motivation, and it shows you what is working. On the other hand, failures are also important because they teach us what is wrong and give us feedback on what we should avoid doing. Therefore, study both success and failure. Learn from both sides and implement what is working, and ditch what is not. Here are 10 ways how unsuccessful people think that you definitely want to avoid. Are you going through your life aimlessly? Do you know what you should do each day to reach your goals? 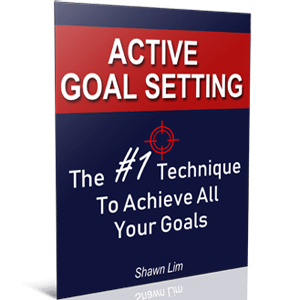 Wait, do you even have a clear goal that you want to achieve by the end of this year in the first place? Unsuccessful people go through their life aimlessly. They treat everything in life like, “Whatever will be, will be”. They say that they want to become richer, happier, and healthier by the end of this year, but that’s all they do. They don’t have a clear plan. All they ever had is a vague wish in their head. When you ask them what they truly want, they can’t seem to find the answer. If this is how you are behaving, you should seriously look into your life right now. Where are you heading? Where do you want to go? What do you want to achieve and what are your dreams? People who go through life without having a clear vision are like sheep. They follow wherever the crowd goes and they don’t believe that they have the ability to change and control their life. Let me ask you this question, do you want to go through this year exactly like last year? Do you want to repeat this year just like your last year? If you don’t, you have to do something about it. You have to take charge and put your hands on the steering of life. You have to take control as you are the captain of your life. You make the decision and you can go where you want to go. First, you have to decide what you want to do with your life and where you want to go. So don’t live like an unsuccessful person. Stop living aimlessly or let life takes you wherever it is. It is time for you to take full control of your life. Start to take charge and make conscious decisions about what you want and what you will never settle for in life, anymore. Do you know that saying, “I don’t know” is the easiest answer? Stop using this killing phrase. When you have no idea how to do something or what you want out of life, don’t answer “I don’t know”, instead, put in the effort and find out the answer. When you say you don’t know, your brain will automatically shut down and stop thinking for the solutions. You can say, “I’ll find a way”, or “Let me find the solution to this”. Whatever you say, just don’t use the phrase, “I don’t know”. This is the most common phrase that unsuccessful people use in life. Whenever they feel lazy to think about something, they will say “I don’t know”. When they face difficulties, they will answer, “I don’t know”. And their brains stop thinking about the possibility and the answer. The words we use in our daily conversations, be it with other people or with ourselves (self-talk), they have the power to influence and shape our lives. When you change your words, you will change your life. Same goes when you use the word “can’t”. When you say you can’t do something, you feel powerless and your brain ceases to think more about it. Never let this happen to you. So don’t use these phrases. Instead, use words that are empowering and words that will open up more possibilities in your life. Unsuccessful people waste time on unnecessary things like watching excessive TV, dramas, or surfing too much of YouTube and checking updates on Facebook too often. Don’t do that. Time will fly and once it is gone, it will be gone forever. We can never reverse time and we can never create more. Yes, you have to take rests and yes, you can take breaks and check updates on social media. However, don’t do it excessively. There are times to work and there are times you can play. Some people say that they don’t want to be all work and no play, which makes their life dull. I agreed. The problem is that most people spend too much of their time on unnecessary things and they neglect their dreams and their goals. If you spend an hour a day on social media or watching TV, imagine if you use this one hour to study, read books and learn to improve your knowledge and skills each day. What do you think would happen after a year? Do you think you will become better at what you do? Of course, the answer is obvious. If you choose to read books for just 30 minutes a day, most likely you can read 2 books in a month. And out of a year, you will have read 24 books. Do you know how much this will change your life after 3 years? Unsuccessful people don’t really care if they are doing their work exceptionally well or they are just doing alright. Successful people always wanted to improve. They want to do better and they want to perform better to get better results. Conversely, unsuccessful people don’t care if they are improving their skill level or not. All they care about is going through their day smoothly and hope that nobody complains about their work. If you don’t spend time sharpening your axe, you will never get better and you will forever remain average. Or worse, you get outdated because new people are coming up quick these days and they will replace you. Most of the successful people out there are readers. They read either magazines or books in their related industry. They always update themselves on what is happening in the industry and they are always ready to learn new things. There will be successful people who don’t prefer read, but that does not mean that they are not improving or learning. There are many ways you can learn and improve. Reading books is just one of the ways. What is more important here is not the method, but instead, it is the growth mindset that makes you want to become better by adapting to what is new to you. Successful people are curious to learn and they have a strong desire to improve to get better each day. Unsuccessful people want to stay the same. They are not willing to improve or learn. Even when you ask them to read books, they will tell you that they don’t have the time. I can’t stress how important this is. Unsuccessful people always mix with the wrong crowd. They join people who don’t have any dreams or goals, they join people who are always complaining and who always blame around. Take a short moment to reflect on your network right now. Who do you mix with most of the time? The people you talk to and mix with most of the time are important because your conversation with them will influence your life. Imagine if you talk to positive people who are always striving to give their best to improve, how will you feel? An apple won’t fall too far from its tree. You will become who you mix around with most of the time. So choose to make friends and build a relationship with the right people. If you want to fly with the eagles, then you should stop swimming with the ducks. Unsuccessful people seem to prefer instant gratification. They choose to receive the reward right now rather than later. When you get a bonus of $500, what would you do? Well, you can choose to instant gratification and spend it to buy things that you want and like. Or you can choose to delay the gratification and put the money into your investment account. You will have a net worth increased of $500. Each morning, you can choose to wake up 30 minutes earlier to read a book, or you can choose to continue to sleep on your comfortable bed. You can choose to watch the TV right now or you can choose to write an article to grow your blog. You can choose to hit the gym or you can choose to play games on your phone, your choice. Successful people choose to work hard right now and enjoy the reward later. Unsuccessful people choose the reward right now and suffer later. So which route do you prefer? Do you choose to work hard right now and get to enjoy later or do you choose to enjoy now and work hard later? Remember, choose to delay gratification. Choose to work hard right now and get rewarded even more later. Another key failure of unsuccessful people is that they don’t have a strong enough desire. Having passion is good, but passion alone is not going to help. You need something more, you need a burning desire. When something is a must-achieve to you, you will do whatever it takes to get it. When something is a wish to you, you will do only what is convenient. Successful people have a strong desire for their dreams and goals. They are willing to go all out to get what they want. This is why extraordinary people are able to wake up early, work harder, ignore the naysayer and stay later to work more. On the other hand, unsuccessful people have dreams too, but their dreams are not something that they must-achieve. In other words, their desire for what they want is not strong enough. They only do what is convenient to them. When they are tired, they choose to rest and sleep. When they are exhausted, they choose to watch TV and play games rather than working on their dreams and goals. Do you see the difference right now? Unsuccessful people don’t have a strong desire for what they want in life. They are all talk and are not willing to walk their talk. You are what you do, not what you say you will do. Don’t just say that you want to be successful or live a wealthy life, do it. Take action and walk the walk. Turn your dreams and your goals into something that you cannot resist. Develop a strong desire for what you want and you will do whatever it takes to achieve it. Another mistake unsuccessful people fall into is that they resist change. They prefer to stay in their comfortable zone and do something that they are familiar with. They just refuse to change or improve. If this is what is happening to you, maybe you should seriously consider changing. Don’t live your life the same way every month and every year. Make your life interesting and be prepared to change. It is easy to sit in front of the TV and enjoy the program, but doing so will never improve your life. Doing something comfortable feels good, but it will never do anything good to you and your life. You feel comfortable because it is something that you are familiar with and something that you can expect the outcome. However, when you venture out of your comfort zone and do something different, you feel risky and you feel uncomfortable. This is because you are trying to change and the result might not be what you expected. Everyone wants to stay in their comfort zone, but doing so will not bring you to the next level. If you want to improve and live a better life, you must always be ready to challenge yourself and change the status quo. You must be willing to change the way you do things. So don’t be afraid to change. Venture out of your comfort zone and challenge yourself to do something that you have never done before, so that you will get result you have never got before. A winner will never quit and a quitter will never win. Successful people are people who refuse to quit. They fail, they learn and they try again until they get the results they want. Look at people such as Colonel Sanders, Thomas Edison, Steve Jobs, Richard Branson, Michael Dell, Soichiro Honda, Elon Musk, Nelson Mandela, etc. These are people with extreme determination and commitment for what they want. They faced failures upon failures, but they never give up and choose to march on for what they believed in. On the other way, unsuccessful people are those who quit and give up when they fail. They do something and when they don’t get the result they want, they abandon their project, they start another business, they do something else, they jump ship, they change their goal, or they simply give up. You must be determined with the goals you have set and the dreams that you want to accomplish. If you are not determined enough, you will quit sooner than you think. And more importantly, be 100% committed with what you want. Unsuccessful people are not 100% committed. They are not willing to do whatever it takes, they are not willing to do their best, they always give excuses, they’re late and they always do things half-hearted. Study and read the autobiography of successful people like Steve Jobs, Richard Branson, and Elon Musk, you will understand how committed they are toward the things that they want in life. By the way, do you know which is my favorite autobiography book? It is Steve Jobs. One of the most life-changing and inspirational read of all time. It is a thick book, but you will finish it because the story is captivating. Get it from Amazon and read it now. So be determined and be 100% committed to your dreams and goals. Successful people focus on their goals and their dreams all the time. They think about what they want and they dream about achieving them day and night. They focus on what they want and thus, they align their life around their dreams and goals. Unsuccessful people focus on the wrong things. They choose to do things that don’t give them the results they want. They watch excessive TV, they spend too much time on things that don’t matter and they don’t even think about their goals and dreams most of the time. You will become what you think about most of the time. So choose to focus and think about the things that you want in life. Choose to think about your goals. Choose to think about living your dreams and having achieved all your goals. Where you put your focus on, expands. When you focus and work on your wealth, you become wealthier. When you focus and work on your health, you will become healthier. So put your focus on the right place. Choose to think about the things that you want in life instead of thinking about things that you don’t want. Consciously focus your thoughts on your goals and dreams through affirmations, visualization, and active goal setting. The first step to living a successful life is to act and think like someone successful. Avoid these 10 ways of unsuccessful thinking and align your thoughts with your dreams and goals. Everything starts from your thought. When you change your thinking, you will change your life. Let me hear from you in the comment section below. Tell me which of the above you agree the most. I was searching for some inspirational quotes on the internet, and then stumbled across this website. I am so glad i did. Man, after reading this article… 8 out of 10 points apply to me. Points 4 and 5 not so much as people i’m surrounded with are good and I actually do want to improve in areas of my choosing, it’s just that i lack desire and will to consistently do so. Plus excessive internet stuff. This article made me really think on how i currently live my life. I understand that many points in here show a particular mindset of a person, and changing or improving a mindset is a lengthy process that will take time. That’s something i struggled with for many years and still do. Applying conscious effort is what holds me back, as i rarely do it, if at all. Thank you for holding this blog and writing these posts. After reading this article, it showed me a new, fresh, perspective. Hopefully, this information will be enough to, at least, get me going in the right direction. P.S. I actually wanted to use phrase “I don’t know” at least 3 times while writing this. Hi Artua, it’s great to see that you benefit from the information here.